Yesterday, today, tomorrow. It is an inherent part of the human condition to think in timelines: where we’ve been, where we are, where we are going. But for Dutch artist Julie van der Vaart, this is a limited perspective. “When I was a child I looked at the stars and I could really imagine space going on forever. I had panic attacks because it wasn’t just above, but also below, and left, and right,” she explains. “I could envision space that went beyond the boundaries of my mind. When you close your eyes you see ‘an image’. What I was imagining went beyond that. Her professors at the Media, Arts and Design Faculty in Genk, Belgium, thought differently. They pushed her towards the medium and in 2011, she won the golden lens award at the 33rd International Photo-Festival in Knokke-Heist with an image depicting a boy on a bed, staring into nothing. It would take leaving her studies to begin the process of developing a style. She revelled in the freedom to experiment, to take pictures unrestrained by both the boundaries of education and the weight of expectation. Unlike many of her contemporaries who were fixated on technology, Van der Vaart looked for images that evoked feeling. She found a muse in her boyfriend – though not the person himself, his body. 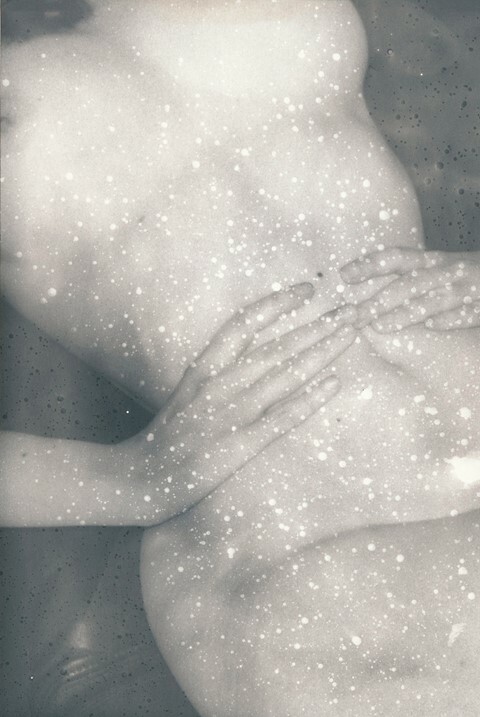 Her oeuvre now encapsulates both bodies and landscapes, shot in analogue and black and white. “If you have colour you have this extra layer of information,” she explains. “You get more of the essential, central things if you get rid of that.” Romantic, sombre, ethereal, eerie; Van der Vaart’s work is both conceptual and “poetical”. She likes the balance between her own ideas and the viewer’s interpretation – that they can feel something while knowing nothing. Beyond Time combines the artist’s fascination with the concept of time and her longstanding muse, the human body. Inspired by quantam mechanics – and in particular, Stephen Hawking’s A Brief History Of Time – she wanted to create timeless photographs, images that do not exist within the confines of the here and now. To do so, she experimented with chemicals to craft a cosmic effect within the images. 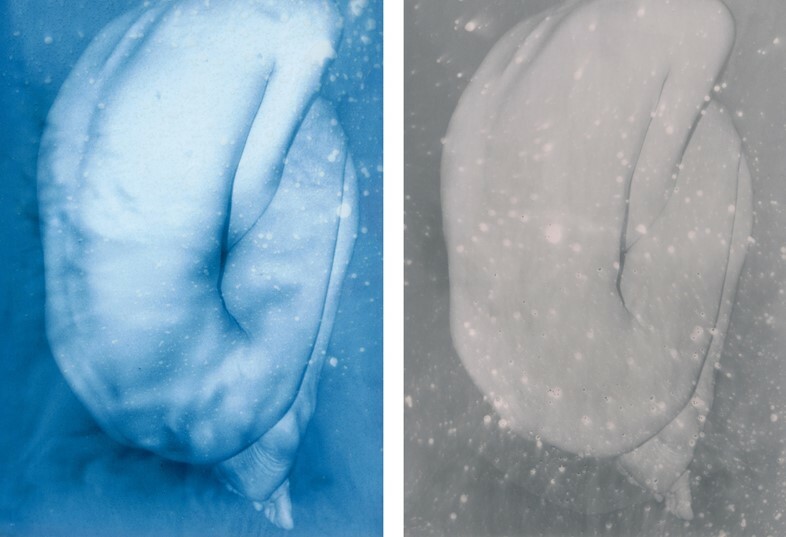 The bodies on show look as though they could be dissolving into space, or emerging from it – or perhaps doing both simultaneously. In a departure from her usual approach the collection includes a small number of prints in blue, to break the flow. The results are haunting and hypnotic; a series of intangible figures, floating in a world beyond our imagination. Julie van der Vaart: Beyond Time runs at Ingrid Deuss Gallery, Antwerp until March 24, 2018.